NHC is suggesting this becomes a Tropical Storm by 8 AM EDT Friday. As of the 2:30pm update, we have Tropical Storm Beryl! Unless I've missed it, the GFS doesn't seem to have Beryl at all. GFS has it you just have to go out into the Western Atlantic for right now. 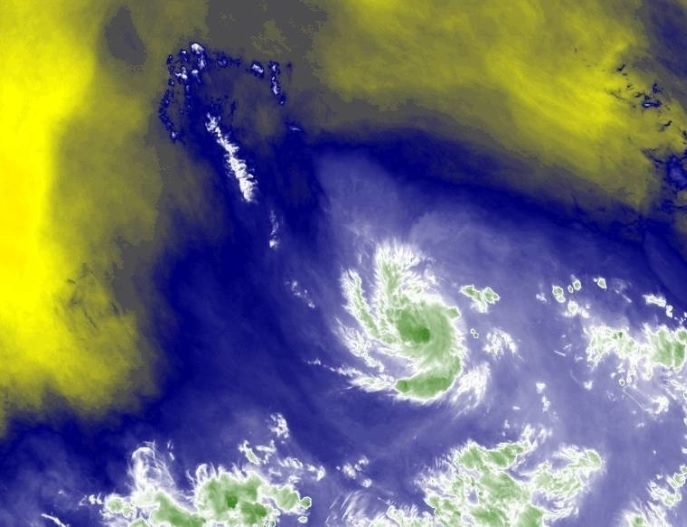 Apparently this tiny little thing, no bigger than a smaller end thunderstorm complex, is now a hurricane as per ATCF, with a tiny little eye showing up on IR. First usage of Beryl to name a hurricane and one of the earlier western MDR hurricanes we've seen. Color me absolutely shocked. 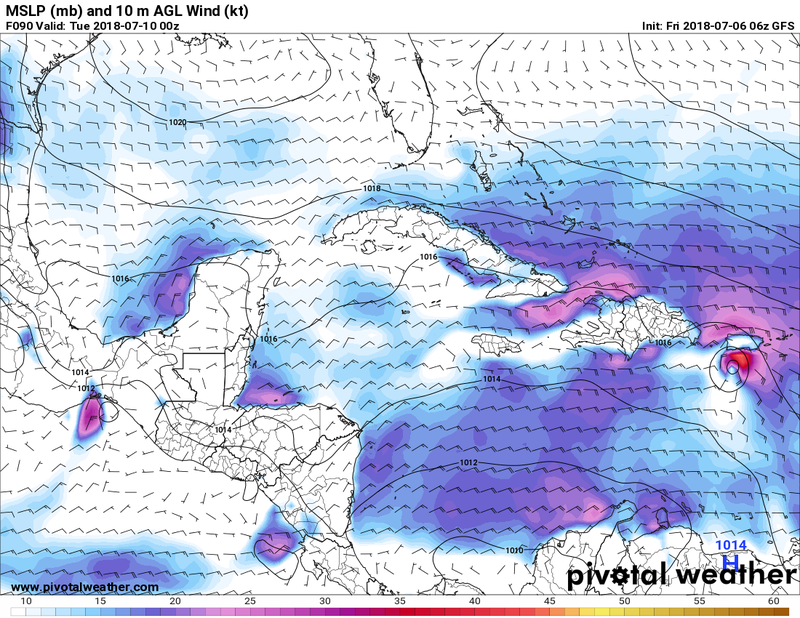 Great upper level conditions ahead of this microcane prior to the Caribbean islands. Beyond that, it's anybody's guess. GFS has Beryl dissipating between Monday night and Tuesday morning. Heavy Rainfall and some wind will affect Puerto Rico. 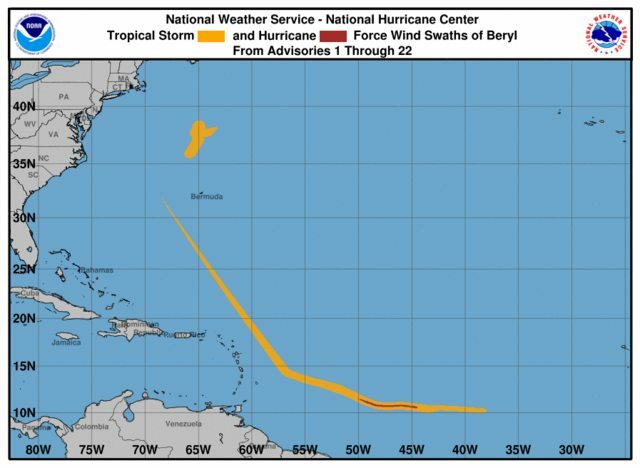 Beryl is a tenacious little hurricane. It is now expected to still be a hurricane near the Lesser Antilles, and NHC now has a peak intensity of 100 mph. lead to dissipation. But we shall see. Wow that thing is tiny! 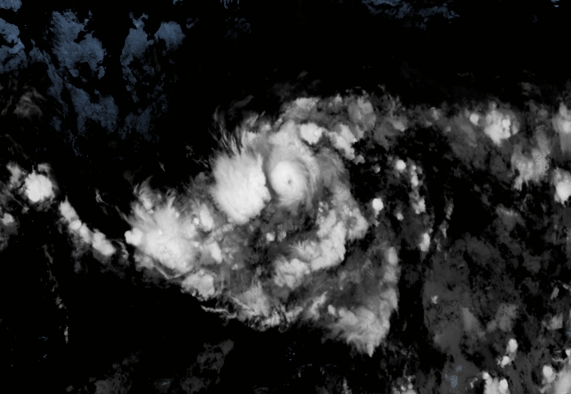 It sure is interesting watching this thing barrel towards the Antilles. 18z GFS has an interesting solution. 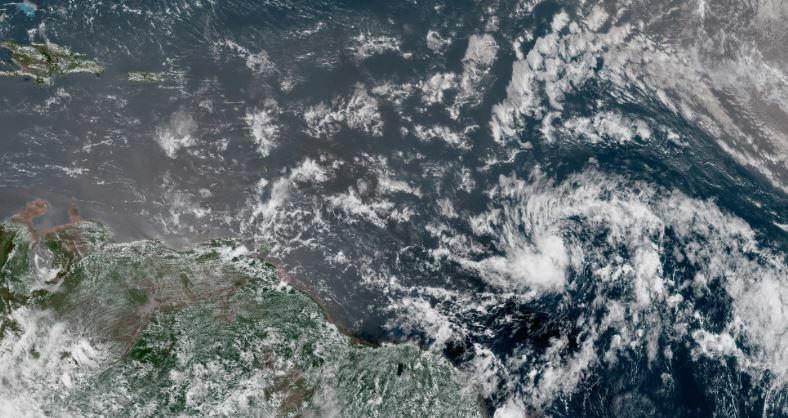 Beryl dissipates south of Puerto Rico, but then a piece of energy goes north and blows back up into something about where TD3 is now and follows TD3 (and whatever it forms into). 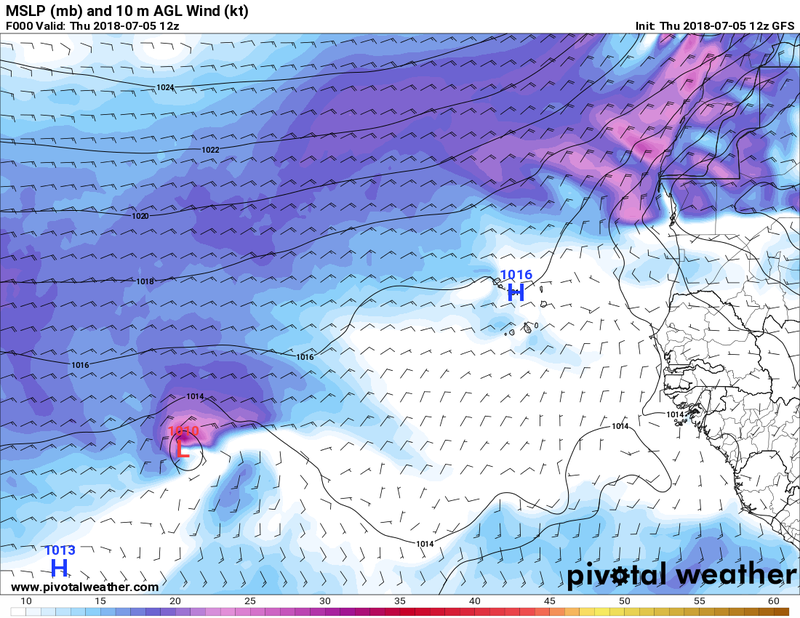 Could this be the beginning of the end for the "Little Storm That Could?" Stay tuned kids, same bat time, same bat channel.